With the introduction of the HTC Touch Diamond, the manufacturer hopes to deliver a new mobile Internet experience that utilizes broadband-like speeds with European 7.2 Mbps HSDPA and HSUPA wireless connectivity (a version supporting North American HSDPA will be released later this year). HTC provides a new customized mobile Web browser that should enable easier viewing and navigation of websites. As part of this experience users can zoom and pan websites with one-hand and automatically view optimized content that has been specially created to fit the display. Turning the device sideways automatically rotates the web page view from a portrait to landscape view. In addition to web browsing, the Touch Diamond includes a customized new, HTC-developed, YouTube application for watching user generated video content as well as utilizing Google Maps for mobile. 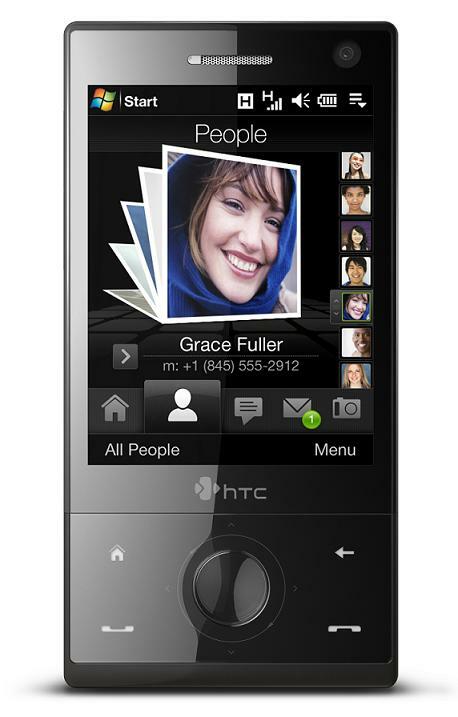 The HTC Touch Diamond’s 2.8-inch display provides VGA resolution, and a built-in 3.2-megapixel camera includes auto focus. The smartphone also offer auto sensor screen pivoting. Measuring 102 by 51 by 11.33 mm and weighing 110 grams, the HTC Touch Diamond is powered by Windows Mobile 6.1 Professional. The smartphone also sports 4GB of internal storage, Bluetooth 2.0, USB 2.0, Wi-Fi 802.11b/g and AGPS. HTC claims a talk time of up to 4 hours on GSM networks and up to 4 days of standby time with push e-mail activated. The HTC Touch Diamond will be available to customers across all major European carriers in June. It will be available later this quarter in Asia and the Middle East. The North American and Latin American versions of the HTC Touch Diamond will be available in the second half of 2008.